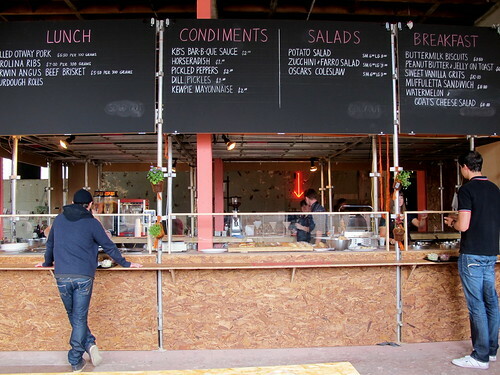 So did you hear that St Ali will soon be opening on the northside? While the original St Ali continues to power on in South Melbourne, the site for St Ali North has been chosen in Carlton North: a long, skinny lot that runs alongside the bike path, behind Velo Cycles on Nicholson Street. To tap even further into the synergy that seems to exist in Melbourne between specialty coffee and cycling, blueprints of the new cafe tweeted by Sal Malatesta indicate a coffee "ride thru" for cyclists on the bike path wanting their caffeine to go. On Saturday I went with Hannah to The Richmond Weekender in the old Channel 9 TV studios (for more info about the concept behind the month-long pop-up, see The Design Files). The Homemakers Market wasn't running while Hannah and I were there, but we stickybeaked inside the Speakeasy Cinema and shared a serve of Fancy Hank's Bar-B-Que at the Graham Canteen: pulled Otway pork, North Carolina ribs and Parwin Angus beef brisket (all sold by weight) with condiments and salads. 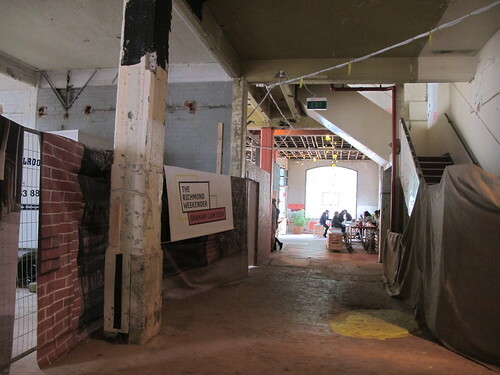 Not bad by Melbourne standards, and for those who miss out at the Graham Canteen there's talk of Fancy Hank's putting in future appearances at Abbotsford Convent. For those still keen to check out The Richmond Weekender, its last days of operation are this Saturday and Sunday - and on the Sunday they're running The Homemakers Market again, from 10am-3pm. 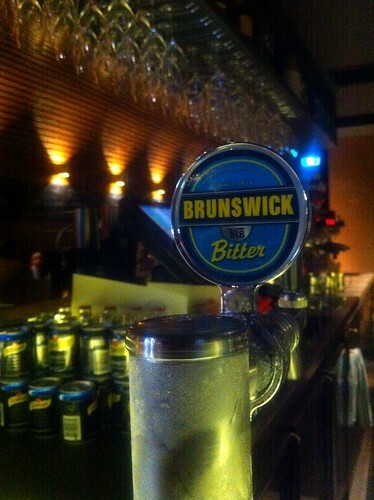 Anyone else noticed that Brunswick Bitter on tap is popping up at almost every new restaurant? Someone's brand ambassadors sure have been hard at work getting tap visibility. In the past fortnight alone I've spotted it at Pei Modern, Touche Hombre, Choo Choo's and Albert St Food and Wine. It's brewed by shiny newcomers Thunder Road Brewing Company and made from all-Victorian ingredients. I put it to you that buying a haloumi pie from Al-Alamy in Coburg for the princely sum of $2.50 will be the best $2.50 you'll spend this week. 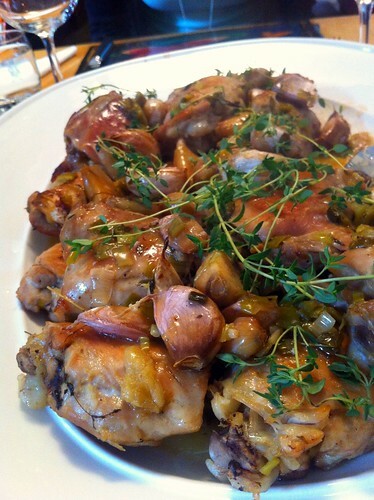 On Sunday my mother made Poulet aux Quarante Gousses d'Ail (roast chicken with forty cloves of garlic), with predictably delicious results. Technically this batch had 46 gousses. Oh, and apologies for the delay of this Fortnightly Round-up. I blame Mad Men. - Beautiful Pantone tarts by French food designer Emilie De Griottes. 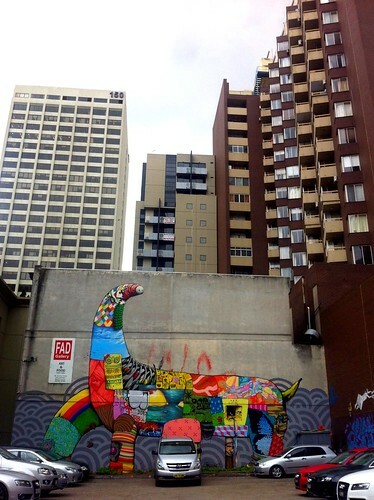 - Allan Campion wrote a handy little list of Melbourne CBD Highlights on The Melbourne Foodie that you can recommend to your visitors from out of town. Reminds me that my own Visitors Guide is in dire need of an update! - Cook Republic has a recipe for quinoa and m&m cookies. Gulp. - Eileen from Melbourne coffee blog Birds of Unusual Vitality was part of the Coffee Common team at TED 2012 in Longbeach, California. - TIME magazine says chefs are taking nature worship too far. - Milk Bar Mag has revamped their website, and started producing a great series of short videos about Melbourne locals and businesses. The first one is about Burch & Purchese, the second one is about Der Raum. - The blog Inside Cuisine posted a nice piece about the making of Pepe Saya cultured butter (a product I fell in love with last year). - Lessons learned from lunch: the onion, the pear, and the emperor's new robes. 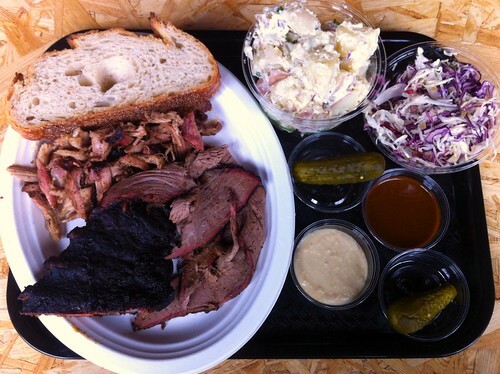 - Two Munch reviewed the Fringe Food Festival's Don't Mess With Texas dinner. I'm going along to the third of these dinners - looking forward to it! Holy moley that poulet looks magnifique !!! Ah the 40(6) cloves of garlic - I do recall seeing a recipe somewhere but forgot. It looks amazing. Maybe I should hunt it down and make it too. It's becoming the weather for such dishes. 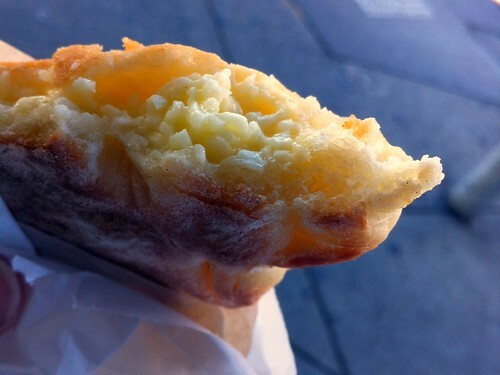 Goddamn I NEED to get me to Coburg for one of those haloumi pies! Loving the Milkbar Mag redesign! Ahhhhhh haloumi pies. used to live around the corner from there. 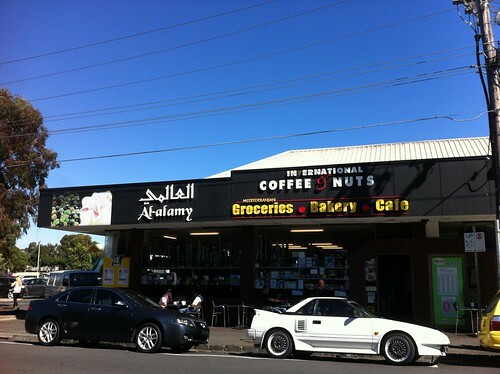 would pass by almost daily for a lebanese goodie. love the meat pizza with chilli and lemon juice. making me miss melbourne even more!